FOODNET Partnership Agreement available on our website !!! Merry Christmas and Happy New Year 2019!!! 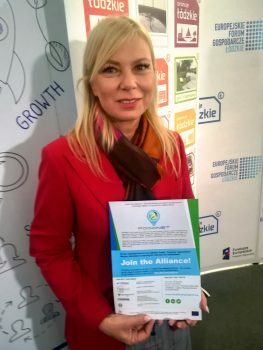 FoodNet promoted in Warsaw one week before 1st Conference! 1st FoodNet Conference – register now!!! The content of this website represents the views of the author only and is his/her sole responsibility; it cannot be considered to reflect the views of the European Commission and/or the Executive Agency for Small and Medium-sized Enterprises (EASME) or any other body of the European Union. The European Commission and the Agency do not accept any responsibility for use that may be made of the information it contains. This project was funded by the European Union’s COSME Programme (2014-2020).